A big aloha and mahalo to all who came out to join the Protect Pohakuloa — Stop RIMPAC protest today at the Pohakuloa main gate. Also the La Ho’iho’i Ea Hawaiian flag ceremony at Mauna Kea Park. There are a few photos on my Jim Albertini Facebook page and more will be posted. On Monday Aug. 1st at 6:30PM we will be having a meeting to evaluate all the various Stop RIMPAC activites of the past month. The meeting will be at the Keaau Community center behind the Keaau police station and Bay Clinic om Keaau. All are welcome. Help us improve as we go forward. 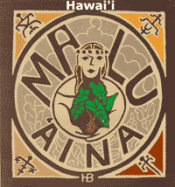 Mahalo,. Solidarity for justice, peace and malama honua. ﻿ Reminder: Protest RIMPAC! Protect Pohakuloa TODAY!!!!!!! Reminder: Protest RIMPAC! Protect Pohakuloa TODAY!!!!!!! La Ho’iho’i Ea — Restoration Day! Please come and pass the word to others.Mahalo. Please help pass the word about today’s Protest RIMPAC (Wednesday) 3-5PM sign holding and leafleting at the Hilo airport/Hwy 11 intersection.